A lipoma is a growth of fat cells contained in a thin, fibrous capsule. In most cases, lipomas are located directly beneath the skin, making them easy to detect and diagnose. While they can occur almost anywhere on the body, they are most commonly seen on the neck, torso, upper arms, upper thighs and armpits. Ultimately, a doctor must be the one to diagnose a lipoma. Until that time, there are several identifying factors that can help patients determine the likelihood that a growth is a lipoma and not something else. While these factors can provide a patient with general guidelines, we recommend that patients seek professional care when any kind of growth develops. 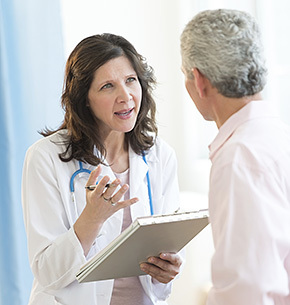 In this way, patients can ensure they are fully informed and receive proper treatment. In many cases, patients only have a single lipoma, making treatment rapid and simple. In other cases, patients suffer from multiple lipomas, and sometimes even recurring lipomas. This requires treatment from a doctor who is not only proficient in lipoma removal, but who has experience in treating lipomas that recur. For multiple or recurring lipomas, there is no better resource than Lipoma Center Los Angeles. We see your case all the way through to total eradication of lipomas, ensuring your happiness and well-being. Regardless of a lipoma’s location, it can cause insecurity and lack of confidence due to its abnormal appearance. This certainly applies to lipomas on the neck and face, but patients with lipomas on their abdomen or thighs may also be self-conscious. At the Lipoma Center Los Angeles, our surgeons are not only skilled in the effective removal of lipomas—they are also among the leading cosmetic surgeons in Los Angeles.